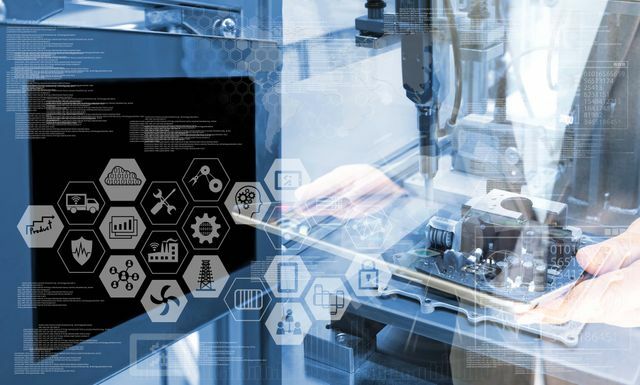 If you’re like most manufacturers today, your current efforts – automation, some data analysis, perhaps the addition of some IoT components – have brought you onto the digital playing field. But you’re not fully in the game yet. Digital transformation across your organization is the next step. However, it can be difficult to identify the target interventions that offer the best bang for your buck. You must choose transformative solutions that are not only executable – not an easy task in itself – they must be scalable. And knowing how to scale takes a lot of expertise. With the stakes this high, it makes sense to take a closer look at the companies that have managed to stay viable and meet changing needs for 100 or more years, such as Japan’s Okuma Corporation. Founded in 1898 to manufacture and sell noodle-making machines, Okuma has grown to be one of Japan’s largest machine tool builders, a billion-dollar business with operations centers across the globe. In 2013, at a time when many companies were expanding out of Japan to globalize and cut costs, Okuma made a commitment to stay. To do so, they knew they would need to cut business waste, create multitasking machines, fully automate their production facilities, and implement the visualization of operational conditions. They chose Hitachi as a partner in their transformation because of Hitachi’s experience in manufacturing and its ability to handle large volumes of data and implement the required real-time analysis. Hitachi worked with Okuma to install RFID tags to collect data, integrating their processes using smart machines, flexible manufacturing systems (FMS) and combined operational technology and information technology. The result? A factory of the future that increased Okuma’s volume mix, allowing it to handle four times as many products compared to the previous facility. The new factory cut production lead times in half for main products and allowed operators to track parts in a centralized system. By working with Hitachi, Okuma was able to realize these results quickly, saving money by reducing delays and on-site failures as soon as the system was operational. The Okuma story is one of many that demonstrate how Hitachi’s operational technology (OT) and information technology (IT) expertise deliver significant measurable outcomes for manufacturers around the world. With Hitachi’s digital technologies as your foundation, you can build your own factory of the future with automation, integration of OT and IT processes, enhanced production visualization and AI-enabled optimization. Is your company ready to build a factory of the future? Hitachi is ready to work with you to turn your digital ideas and strategies into practical, scalable solutions. We can help you transform for operational excellence by providing digital drivers to enable your vision, empowering your talent, managing your digital change and making your organization more effective. The underlying building blocks include integration of structured and unstructured IT and OT data sources through the Hitachi Lumada IoT platform, as well as device connectivity and device life cycle management to develop, deploy and support tailored solutions that address your unique requirements. Our solutions also include tools for advanced analytics, visualization and dashboards that enable real-time analysis of events, and predictive and prescriptive insights through the application of data science algorithms. A leader in operational technologies for more than a century and with more than 50 years of experience in IT solutions, Hitachi was an early pioneer of IoT innovation. Our proven, customizable assets and accelerators help you execute your transformation at speed, and our flexible, client-centric approach means that we listen to you, get to know your business and organization, and then co-create and manage the digital solution that’s right for you. At Hitachi, we don’t just deliver technology projects or business strategies – we deliver value and outcomes that solve business problems. Interested in learning more about transforming your business for operational excellence? Click here to learn more about how Hitachi is making digital transformation real.